After whipping up the initial burst of anti BJP noise and disrupting Parliament over the National Herald case, a section of Congress MPs are now questioning not just the strategy of stalling the house over an issue that’s in court but on a more practical level, how long can they keep shouting and when they should move on before the BJP paints them as trouble makers who are stalling crucial government business. Although the Mamata Banerjee led TMC is warming up to the Congress and walked out of Wednesday’s Parliament session making for good television visuals, there’s not much support from elsewhere in the Opposition. With Venkaiah Naidu trumpeting an anti-Congress agitation after the winter session, the dissenters in the Congress on current strategy feel that BJP will get more reasons to argue that Congress is getting in the way of government business and issues that concern the common man. Party sources have reportedly said that Congress will have another session this weekend to regroup and find new talking points. NDA plans to launch a massive campaign against the Congress after the winter session about the main Opposition party’s bid to “stall” key legislative measures in Rajya Sabha, where the government does not have a majority. That’s for later but right now, the Trinamool leader in the Rajya Sabha pumped up the volume on ‘political vendetta’. “Political vendetta” is the flavour of the last 48 hours of political sounbites over the National Herald case. Rahul Gandhi said that to television channels while wading through muddy water in flood hit Puduchery. During zero hour, Saugata Roy (TMC) said, “I support the contention of Congress that the government is behaving in a vindictive way,” and when the Speaker stopped him, all the TMC members walked out, signaling a clear affinity to the Congress. The Indian Express explains the political connect between the two parties. The Congress camp came up with a killer idea after the National Herald case served up a sucker punch to party grandees Sonia and Rahul Gandhi – Spin it into an emotional narrative, it will stick. Bring on the warpaint and jump into the ring, it’s showtime, folks. This is not a case file, it’s honor, it’s not about some newspaper from the past, it’s the baddie against a mother and son who are out of power. That’s the new script, more or less. A Delhi court Tuesday directed Congress president Sonia Gandhi, party vice president Rahul Gandhi and five others accused in the National Herald case to appear before it on December 19. The case has made it to the headlines in theWall Street Journal site too. “Make sure all the accused appear on December 19. I am giving exemption from personal appearance only for today. Don’t come in the morning on December 19. You come at 3 pm,” Metropolitan Magistrate Lovleen said after hearing submissions at the Patiala House Courts. After a week of uncharacteristically civil debates in Parliament, both Houses returned to familiar scenes of chaos and disruptions on Tuesday. This was after the Delhi High Court dismissed a plea challenging the summons issued to Congress leaders Sonia and Rahul Gandhi to appear before a court in the National Herald case. The Congress’s initial reaction, crafted by its legal team, was exactly that – legalese. But the political spin room has pounced on this juicy opportunity drawing parallels to the case against Indira Gandhi after the Emergency. The Congress has rolled up its sleeves in fightback mode. What about the GST — that ambitious indirect tax bill which the BJP so deseprately wants to pass through the Rajya Sabha ? Yes, the same one for which the Prime Minister’s kitchen brewed a kettle of top quality tea and called Sonia and Rahul Gandhi over. No go. There’s something much more scalding to deal with. 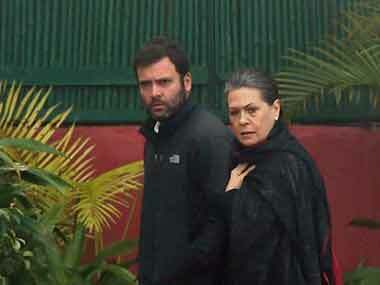 The Gandhis have been ‘attacked’ and the Youth Congress, NSUI and the women’s wing – took to the streets. All political niceties in the context of Parliament in session will fall by the wayside, says The Indian Express. The most likely casualty, of course, is Parliament and legislation including the GST. Parliamentary Affairs Minister M Venkaiah Naidu held a meeting with MPs from Punjab and Jammu and Kashmir at his residence today in this regard where he told the members that the NDA partners will take up a campaign among the people to highlight this matter after the Winter session of Parliament, official sources said. There is a view in the government that Congress stands to gain nothing from the protest on the issue and the more it gets highlighted the more “discomfiture” it could create for the Opposition party. Government has been attacking Congress for seeking “remedy from Parliament” for “something that happened during a judicial process” and has been suggesting that the main Opposition party was doing it to block the passage of key reform measures including GST, they said. Naidu’s meeting is a part of series of meetings that 21 Ministers are holding with NDA MPs from different States and Union Territories on the matters relating to Parliament and development issues. Congress leaders insist that Subramanian Swamy, who filed the case, is just a front and and the real strings are being pulled from 7, RCR. “Prime Minister Narendra Modi has invited the Congress for a political fight and we will not shy away. 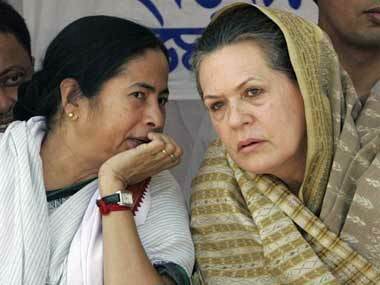 The Congress will take the BJP head on,” said Randeep Surjewala, Congress communications chief. The Indian Express explains the details of the well-past midnight huddle that spun the change in strategy to all-out-offence. With the prospect of the mother-son duo of India’s first political family having to appear in court, the allegations of misappropriation are creating a political storm. This comes just when there seemed to be some good news on the horizon for the Congress, after the party made inroads in the local body elections in Prime Minister Narendra Modi’s home turf of Gujarat, and was part of the winning coalition in the key state of Bihar. -The National Herald was a newspaper that India’s first prime minister Jawaharlal Nehru helped set in pre-Independence India in the year 1938. It was part of a company called Associated Journals Limited, which was funded by the Congress. An article in Mint quotes a biographer of Nehru as saying that he found himself being unable to make an impact on the ‘reactionary tendencies’ in the Congress, after which the National Herald was started. However, as the article pointed out, it faced financial difficulties throughout its existence. The newspaper officially closed down in April 2008. -According to the Enforcement Directorate (ED), a private non-profit company ‘Young Indian’ was formed in March 2011, with Sonia and Rahul holding 38 percent of the shares each, allegedly with the specific aim of taking over the liabilities of AJL. In 2012, BJP leader Subramanian Swamy filed a complaint before a court. Swamy accused Congress leaders of being involved in cheating through the acquisition of AJL by Young Indian Pvt Ltd. He alleged that YIL paid merely Rs 50 lakh to recover an amount of Rs 90.25 crore that AJL owed to the Congress. The scam could be to the tune of anywhere between Rs 1,600 crore and Rs 5,000 crore. -The case has seen several twists and turns in the recent past. In August, reports had suggested that the ED had decided to close the case, citing lack of substantive evidence against Sonia and Rahul Gandhi. However, ED director Rajan S Katoch was removed from service after the reports to that effect surfaced. In September, the ED decided to reopen the case. -The Delhi High Court has now rejected the plea filed by the Gandhis challenging the summons, which means that they will have to appear before the court unless the order is set aside. As of now, a Delhi court has asked them to appear on 19 December and exempted them from personal appearances on 8 December.